This post on Michael Brenner’s Marketing Insider blog is spot on. Guest author Grzegorz Błażewicz explains the different problems that can be solved by automation: research, distribution and measurement. 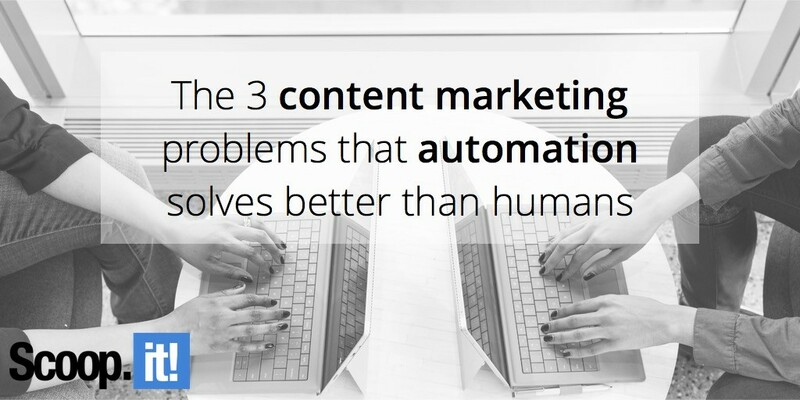 While content marketing automation can be seen as an opportunity right now, I would make a stronger point that it actually is an obligation. Research is critical to create good content. Content marketing is about being the best answer or one of the best answers to your customers’ questions. How can you be the best answer without researching what’s out there? And if you need to understand what’s out there you need to automate content discovery. – which ones deserve to keep being distributed and which ones shouldn’t. Finally, measuring content performance is the key to ROI. Again, it’s imperative as if you don’t measure it, you won’t be able to make it a sustainable and valuable strategy for your business. Here again, it’s impossible to crunch numbers better than a computer. More than that: tracking systems need to be in place to enable the proper attribution of business KPI’s to content, aka content marketing analytics. Humans will and need to stay in the picture of course. While some automated content creation technology starts to be used for sports and finance, it’s not capable of creating content for sophisticated buying processes. But the key is to leverage technology and automation for what it’s good at and focus our efforts on creativity and strategy – making our content marketing both human and efficient.